The Vine Uganda- Grow HOPE in Africa. What is The Vine Uganda? The Vine is a community center in the heart of Kamuli, Uganda that empowers the local community by providing education, life skills, medical treatment, and spiritual discipleship. 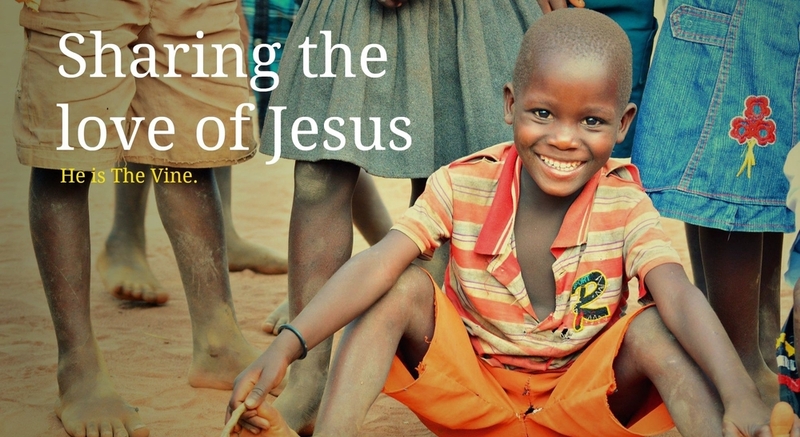 With a special emphasis on vulnerable women and children, The Vine seeks to share the love and hope of Jesus Christ. Your individual resources and talents can help grow The Vine. Join us by shopping (yes shopping!) for our items sewn exclusively by The Vine Women. Share the stories, or come on a work trip to Africa. It's so easy to get involved and we need your help. The Vine started by rescuing four severely impoverished children. We believe it's our duty to care for the widows and the orphans. From the young child raising siblings on her own; to the widow left to raise children with little to no income. Read the many stories of HOPE that make The Vine a community hub for God's love. These powerful stories show that even the smallest act of faith can bring miracles. The Kamuli District of Uganda is greatly underserved by social services. There are many wonderful international ministries operating out of resourceful cities like Jinja, but there are few ministries that operate WITHIN the Kamuli district to care for its people. The Vine is thriving as the needs in Kamuli continue to overwhelm the most vulnerable women and children. When we embrace a child with sponsorship we commit to that child for LIFE. Our commitment to children endures until that child enters college or occupational school. Our monthly sponsorship gifts are collected and our social workers diligently select the most needy kids for support. Women and children who have been affected by AIDS, death of loved ones, child-headed families, arranged marriages, domestic violence, and severe poverty all come to The Vine seeking help and hope. At The Vine we believe it isn’t enough to just provide food, medicine, clothing, and shelter to the needy. The most important gift we can give people is the HOPE and salvation that comes from knowing Jesus Christ. Spiritual outreach is the greatest thread that flows through all the work we do. We believe Jesus is The Vine, and we are the branches. We will bear much fruit when we abide in Him. (John 15). Become a Branch. SIGN UP for The Vine's Newsletter for updates and information!